Two interesting things to report. The kids are home for the summer vacation and mommy dearest is having a "baking block" . Change that to "was having " since my daughter has rescued me from that predicament. It all started with a visit to the local library. We as a family pride ourselves on being voracious readers and as such on the very first day of the summer vacation ,headed to our favorite retreat aka the library to stock up our arsenal of books. While I was busy searching for vintage baking books to help with my bakers block, daughter dearest picked up a new mystery series on the recommendation of the librararian. 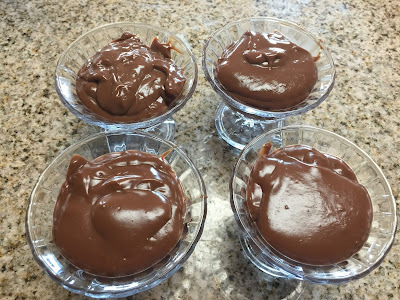 God bless her for doing so because not only did it pique my daughter's interest but also had a recipe for the easiest chocolate pudding at the end . An eggless dessert which even the kids could make ..what could be better? A quick check in the closets and pantry assured us that we had the required ingredients at hand . No quick trip to the grocery story which I really detest. No preheating the oven which I don't detest but let's admit, we all sometimes want quick desserts so this being made in a microwave didn't bother me that much .My kids took turns stirring and whisking it . If you are getting a picture of well behaved kids , be rest assured ..they did bicker and quarrel while making this and even while waiting for it be cooled . Who gets seconds was also a topic for great debate in our house. So, if you are looking for some fun activities to do with the kids this summer vacation , why not try making this dessert with them. I personally believe that the kitchen is great learning space and getting the kids involved in the cooking process makes them more aware of what goes in their food leading to healthier choices and greater awareness. 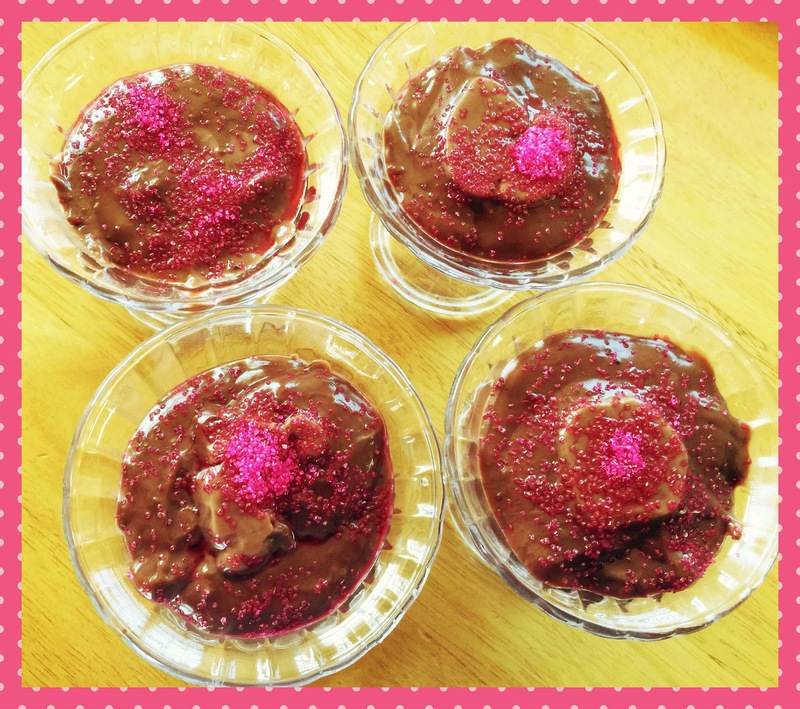 This particular dessert takes very little and thus an apt choice for kids who are just starting their cooking journey. Make it even more fun by providing them sprinkles or powdered sugar for decorating the pudding cups. 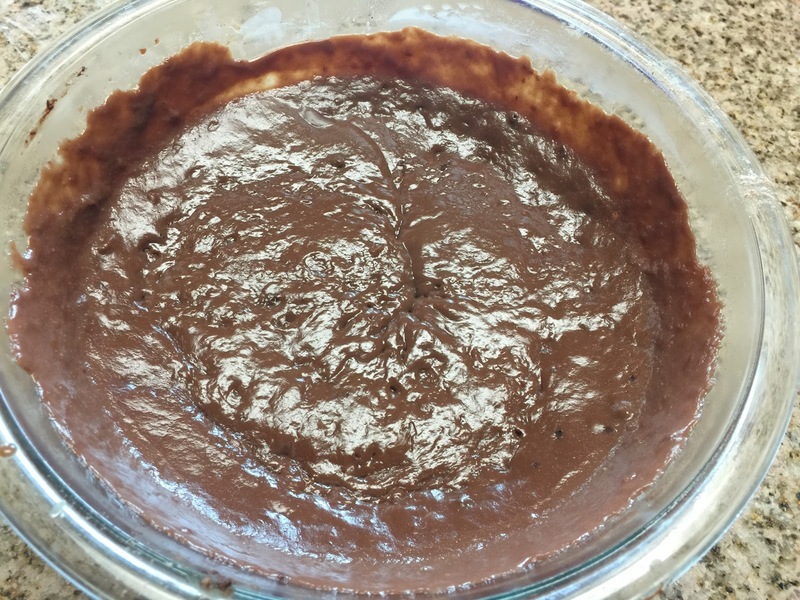 Take a microwave safe bowl and mix the cornstarch, cocoa and sugar in it. Make sure that the bowl is big as the pudding will bubble . Now, add the milk. Stir it a bit. Don't worry of it is still lumpy. Heat it in the microwave for 2 minutes. Use oven mitts to take it out and stir it with a wisk. Keep it back in the microwave for another two minutes. carefully take it out with oven mitts and stir with a whisk. It should have hot chocolate like consistency. It goes back again in the microwave for 2 minutes. The bowl will be hot so using the oven mitts take it out. Give it a good stir using a whisk making sure there are no lumps. Now, add the vanilla and butter. 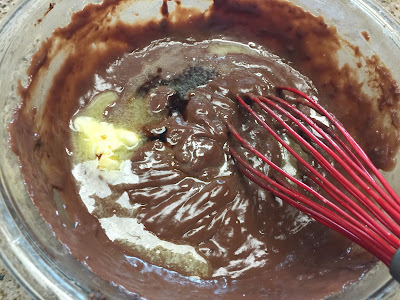 Stir it well to blend them all in and have a thicker consistency. Pour into small cups and let cool. Cover them to prevent skin forming on the top. 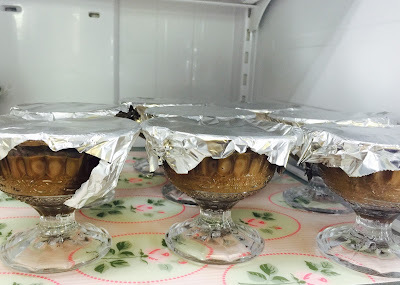 Keep them in the refrigerator and enjoy when cooled ! I am a sucker for British mysteries so then why shouldn't the queen of crime -Agatha Christie enjoy the numero uno position in my beloved authors' list. Her being there has much to do with her Belgian detective - Hercule Poirot and his insistence on using those little grey cells. His waxy mustache might also have a part to play too, Anyway, after a year of some heavy reading, when our book club decided on Hercule Poirot's Christmas as our December read, I decided that our Belgian detective not only deserved a cake of his own but a whole party dedicated to him. As such, our book club meeting for that month turned into a Book Club Christmas Mystery Party. The quintessential Punjabi kadhi and Guru ka Langar ! Mango Loaf Cake for it is Summer ! Cottage Cheese Cookies and Gourmet Recipes !